The Amex Members Pre-Sale begins June 4-10, 2018 @ 9AM. Wait - before you can buy, make sure you subscribe to get our US Open promo codes you will need to unlock the discounts for 2018 tickets. Access will be open to those who have an American Express credit card (with the promo code we will send out). 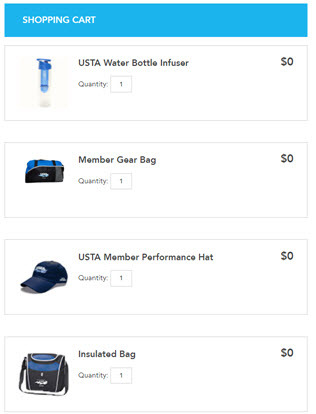 Note for 2018: This year, the US Open is completely getting rid of the week of USTA members pre-sales! This "sale" normally came one week prior to the Amex Sale and most smart fans avoided anyway. Prices were always the same for limited seat choices. Many fans may jump on this sale, but below I explain how to get a MUCH BETTER deal. It is better to let some people buy tickets at the full retail price, and then for you to get them much cheaper later if they find they cannot attend. Discounted tickets come out all summer. We have been monitoring ticket sales for over 14 years now and have always found the best value on US Open tickets after the General Public Sale begins on June 11 @ 9AM. There are more choices, you will have a better idea of your travel plans to NYC by then, and the tennis events daily schedule will be available by then. Tip: Here is the best to check TicketExchange prices. Lock in your seats before the public sale in June! Useful for getting great seats on popular days. Promo Codes = Better Prices for Promenade Seats - the Tickets offered early at full price, will generally be available for Buy One, Get One free with our promos starting around June/July. Super competitive for popular sessions - Men's Semi Final Sat and Finals Sun are almost ALWAYS "unavailable" (booo! ), even within the few minutes of their pre-sale starting! Why waste your time at the "Members Presale" trying to sit at your PC at 9AM clicking refresh for nothing?? Their ticket packages are way over-priced! Be smart and get our tips to stay ahead of the pack when value tickets are released! So why wait if you know they will get sold out later? The Labor Day weekend or Finals Weekend are always popular, so these dates you should consider buying first. For the weekday sessions, if you want to save some of your hard-earned money for the same tickets, read on! We want to help our fans get their US Open tickets for the dates they want, at the best price possible. It pays to be patient this year and we will explain. Want to go for a Night Match? 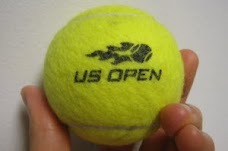 - consider getting a Loge or Court-side Seat at Arthur Ashe Stadium for the best seat in the house of the Top Players. With the marquis matches featured @ 7PM, make your trip to NYC count! Limited single session tickets are available for purchase now from other season ticket holders. If the price is lower here, why pay the full retail price for the same seat? Still Too Expensive?? - Try looking for a Grounds Pass Ticket, which gives you entry to all courts except Ashe Stadium (usually around $80). Great option for 1st week! 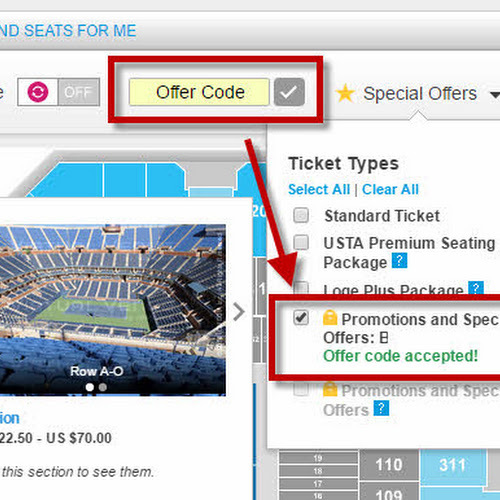 Get our Free US Open Ticket Updates & Promo Codes (like Buy 1, Get 1 Free) as soon as they become available! No gimmicks! - Join our 2018 US Open Insider Tips Email List Today!